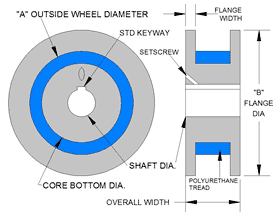 Sunray’s Flanged Wheels are manufactured to your specifications. 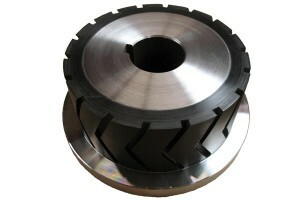 Sunray’s Flanged Wheels are typically utilized in track-type running systems. Flanged wheels act as a guide wheel when running on tracks or when you need a more secure, fail-safe wheel that won’t leave it’s running surface. 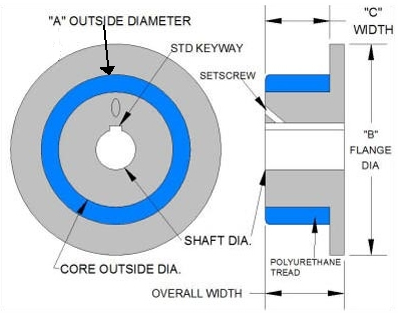 We can manufacture your flanged wheels to your technical drawings or from an existing sample. 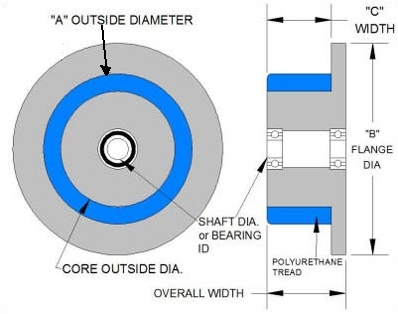 Please fill out the form below for a fast quote on the exact flanged wheel you need. 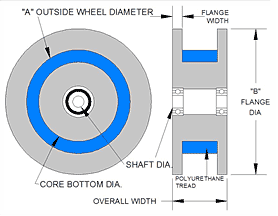 For flanged rollers, see Drive Rollers or Idler Rollers.